Wet, cold, warm and dry; the Drystars have been subjected to it all over the past year. On the whole, I’m really chuffed with the gloves, which have been my staple choice of hand wear for several thousand miles. 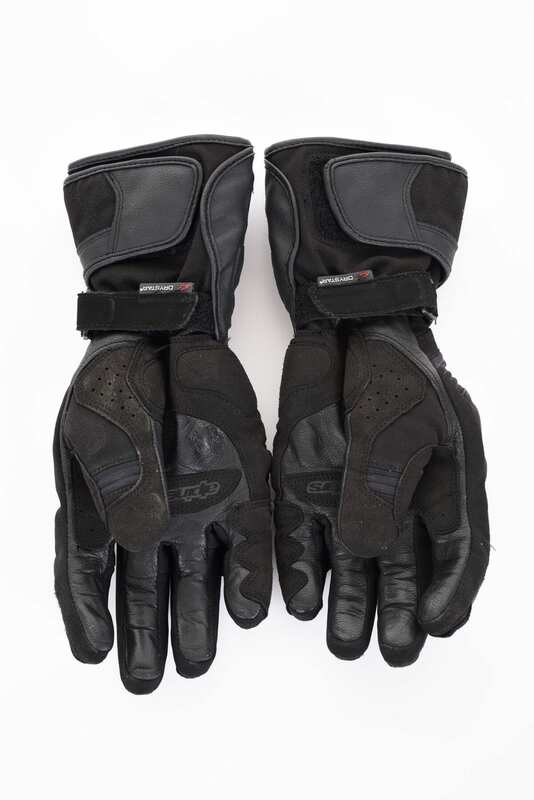 First and foremost they’re really comfortable, offering a snug fit which can be adjusted by the wrist and cuff straps. 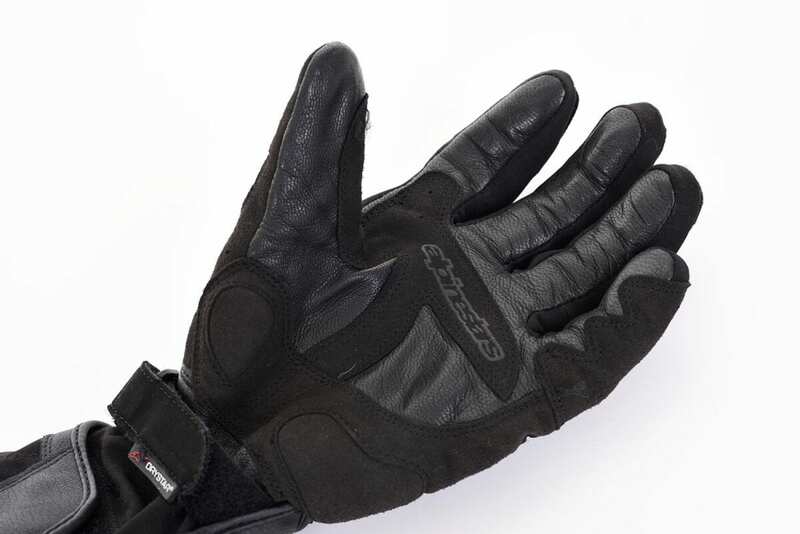 There’s a soft 100gram Thinsulate inner lining fleece for added cosiness, complimented by some pre-formed carbon fibre knuckle protectors, which sit snuggly on the tops of your hands. 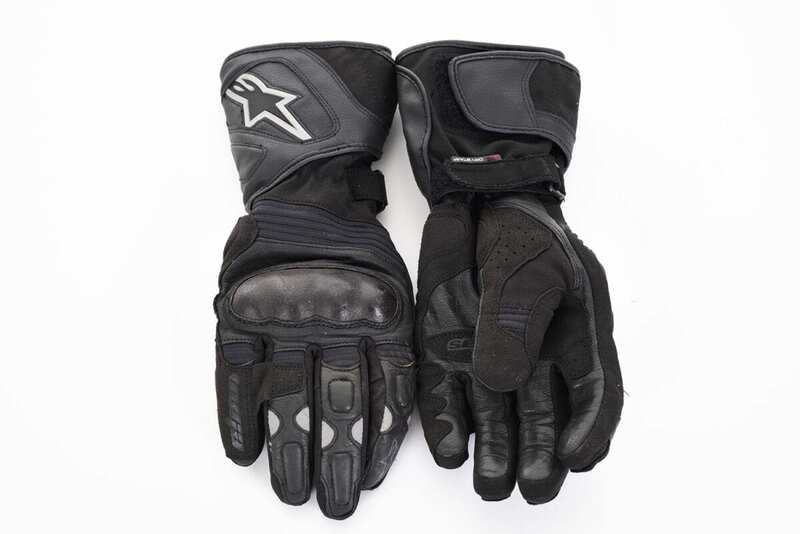 Neither a focused winter glove or an all-out summer item, the Drystars offer a great compromise for the majority of the season, being thin enough to feel what’s going on beneath their goat hide and suede outer linings. 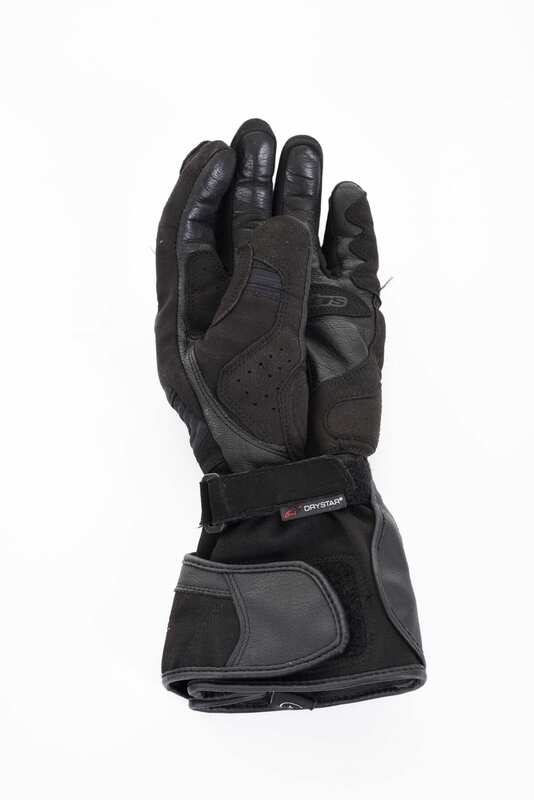 Neoprene stretch panels can be found on all of the fingers, along with reflective detailing and a protective finger bridge between the two outer fingers. As the name suggests, they’re also waterproof, and have kept me nice and dry on a number of occasions. However, there is one major downfall – the Velcro on the cuff straps is quite weak, so they have a tendency to blow open if worn outside of the jacket’s cuff. It’s a real shame, and the problem’s got worse as the year’s gone on; the Velcro becoming weaker and weaker with use. 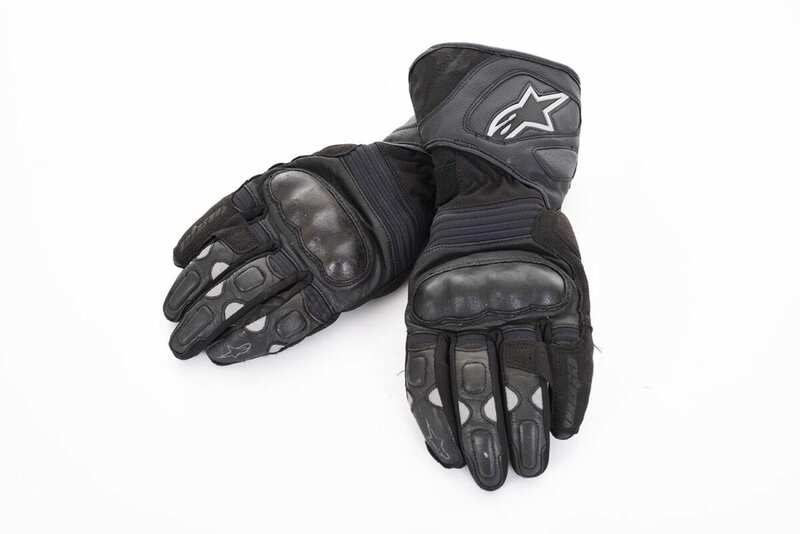 I’d otherwise throw nothing but praise on the stylish looking Alpinestars.